I have been using the whole food based nutrition capsules for over a year now. I have talked about them before and how thankful I am for them. Life has changed, for the better. I still have bad days, we all do. However I am totally blessed to be about to move on with life, move forward with life and not stay huddled up in bed (although the last two days I have wanted to because the minute I step out of my room, I am dripping with sweat. We don’t have central air and only have a window unit in our room). I used to avoid people. I used to avoid so much. I didn’t realize how much I was missing. I didn’t realize how much life was passing me by. Even though I have felt a nudge for a while about youth, I have pushed it down and pushed it aside. I was so embarrassed by my looks that there was no way I was volunteering to be with teens. I would look at myself and wonder how they would see or hear anything other than my face that was so full of pustules, redness and pain. I couldn’t see anything past my face, how could anyone else! Today I was talked to a couple different people. It is so hard for some to understand these are not supplements. I so often hear please tell me the DRA (daily recommended allowance) or how is this any different than me going to the store and buying fruits and veggies. I eat healthy and I take vitamins. I wish I had a magic wand to help someone’s eyes be opened to see the difference. In order to get fruits, veggies and berries to the stores on time, they are picked very early. This way they are able to be packaged up, packed up, shipped and to the store about the time they are ripe. Fruits, veggies and berries get 90% of their nutrition in the last week to few days prior to the food being ripe. So if they have already been picked, weeks (and sometimes months) before they are rippened, they are no longer getting nutrients from the sun or the soil. Soils are depleated of nutrients from farmers not rotating the way they should and using harmful chemicals on the foods to keep pests away. A lot of our foods come from genetically modified organisms (GMO) and that includes our seeds. Often photos say way more than words ever can. I was scrolling though Facebook and saw this. “A friend shared this and it was too good not to pass along. 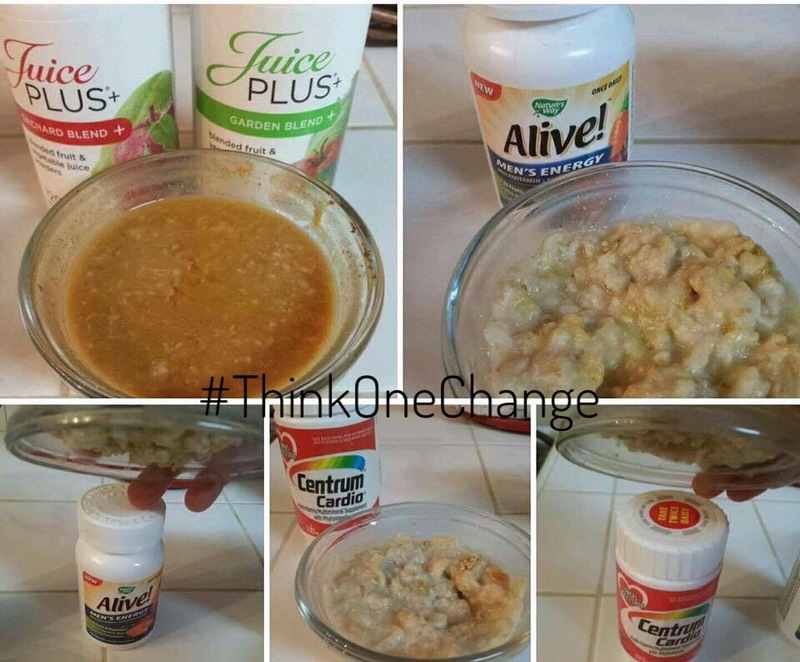 “So I decided to share with my friends how vitamins are “dead” with no living enzymes…I used a powerful visual and took 3 separate bowls of creamy cooked quaker oats and in one I crushed up a Centrum vitamin ..in the 2nd bowl I crushed an Alive vitamin (which you can see should be called (Dead) and in the 3rd bowl I opened one Garden Juice Plus capsule and one Orchard Juice Plus capsule. The Centrum and Alive crushed tablets that were stirred in the bowls and left for over two hours looked like hard putty and could easily be held upside down and stuck to the bowl. The bowl with the Juice Plus turned the oats to liquid ….why?????? Because it IS ALIVE!! 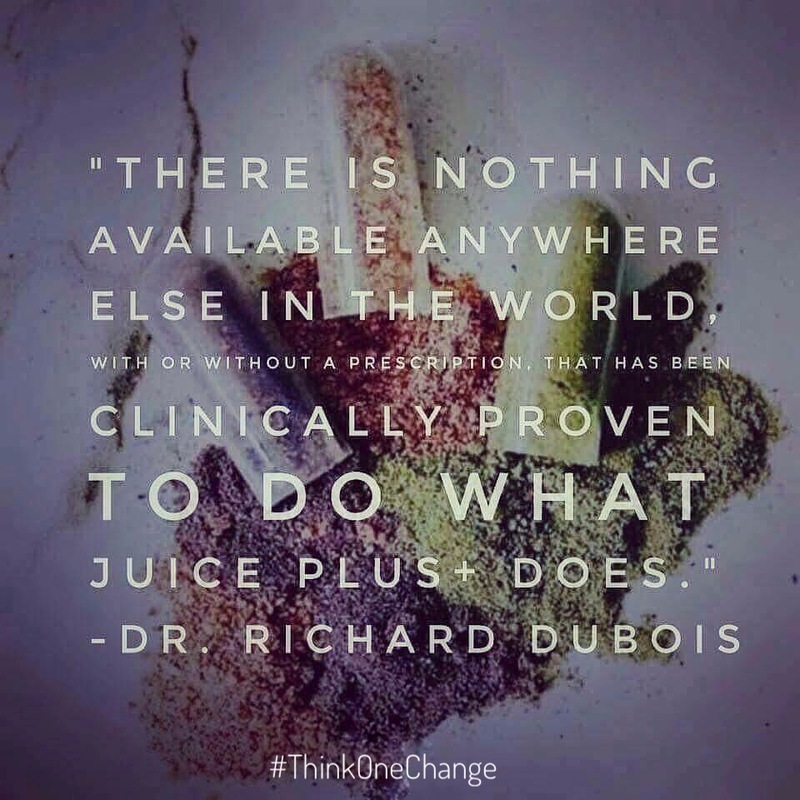 Juice Plus has living enzymes and is real produce that gets into the cell …it’s food….not a hard synthetic fragmented man made vitamin tablet. Sometimes a picture really is worth a thousand words. 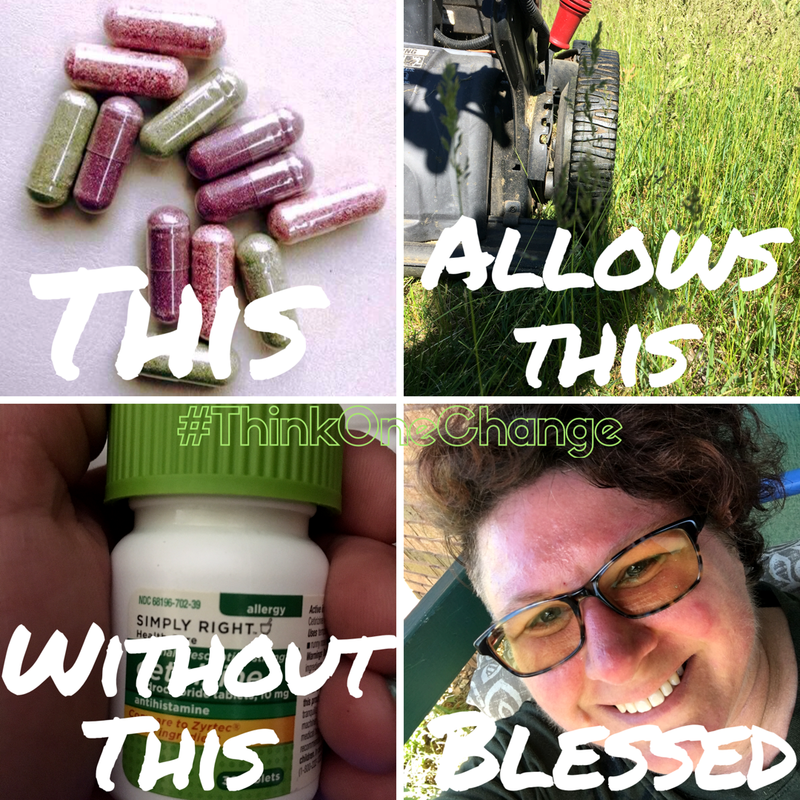 Save yourself the unnecessary expenses of MultiVitamins and just get what’s truly affordable & your body will recognize:) Whole Food Nutrition in a capsule! Are you spending money on supplements? Do you know that your body only utilizes about 25% of them? Let’s just look at what that really means. If you purchase a bottle of multivitamins and you spend $20.00 on it (I have no idea how much a bottle is but I do know I used to personally look for the cheapest bottle I could find because what did it matter, they were vitamins!). 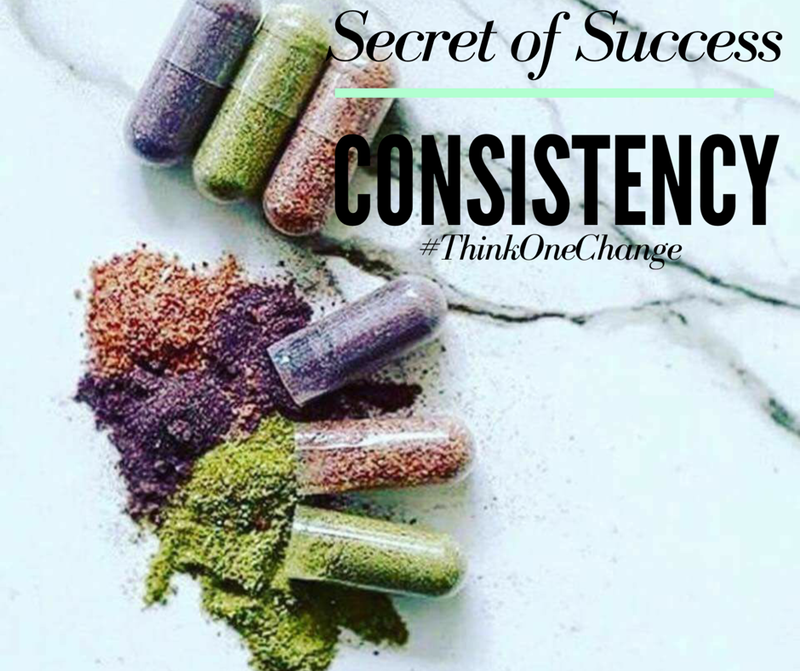 If your body is only able to process 25% of what you take daily and that bottle lasts you a month you are wasting $15 a month. Now how many different supplements do you actually take monthly? When I was taking vitamins I know I had a lot of different ones: B’s, multi, D, E, and the list goes on. So it wasn’t just finding the cheapest one, it was finding the cheapest all of them and my body wasn’t using even half of what I was putting into it. That is really sad to think about. These capsules are whole food based nutrition which means that my body is using 100% of them. I am no longer wasting money. My body is taking it all in, breaking it down and using all of it. Plus it is something I can tell is happening! I feel it, I see it and there is no denying that it is helping me as a person. How much does your health mean to you? I was trying to do the right things, part of the time but I was going about it the wrong way. Truth is we were made to eat fruits and veggies and berries. Our bodies were created to use them for food, nutrition, healthy, energy, healing. I was not getting enough of anything in order to get well. I had to take lots of medications to try and fix what was wrong. The problem for me was, each new medication had its own new side effects that required another new medication. 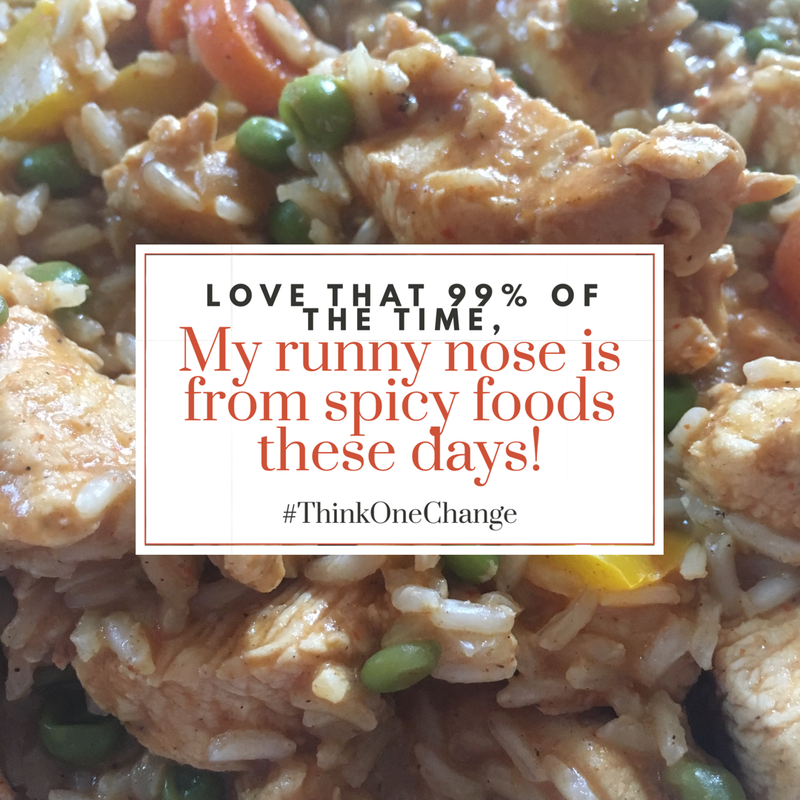 I felt like a walking pharmacy and at times I had to think really hard about what I was on the medications for. Was it something I had gone to the Doctor in regards to my body? Was it something that probably was for a side effect from a medication? My life was becoming a joke. Add to all of that, I had turned to emotional eating. That might not have been such a big deal if I was allowed to eat healthy foods (I love salads) but I was also on warfarin/Coumadin for a clotting disorder. So my list of what I could and could not eat was long for that. Then add in having IC, IBS, kidney stones, ulcers, rosacea and all my other diagnosis’. Part of the problem with being told what to eat and what not to eat is that we were not created to avoid these things. We were created to use them. I sat down with my doctor one day and we went over the list of things that were on my “no eat” lists. Do you know I had about 5 things I could eat on that list but they were all limited to small amounts once a month. So what it came down to is that I was expected to live on water! What does health mean to you? How much does your health mean to you? No truer words have been spoken that I have come to believe: You either pay for your health now with good choices or you will end up paying later for your bad choices. What do you want to do? I had to learn the hard way and was paying for my poor health choices at an early age. No more! What about you? 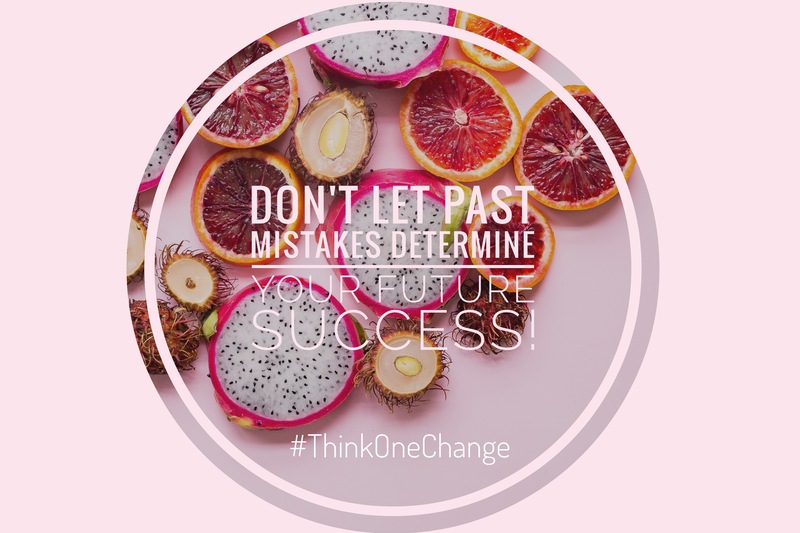 Think One Change, this one change has changed my life in ways I never knew were possible.